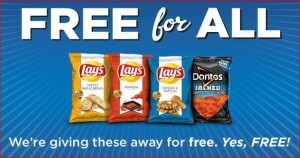 Free Lay’s & Dorito’s @ Kroger Today!! Visit your local participating store on March 15 from 4 to 8 pm to get one (1) free sample bag of a new flavor from LAY’S® and Doritos. Limited quantities available. While supplies last. More details HERE!